The first few months of pregnancy can be some of the toughest for any mom. 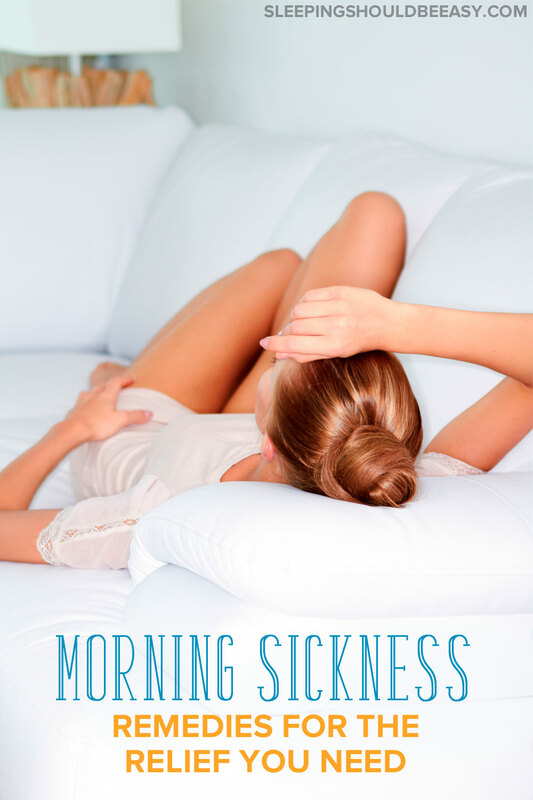 Discover effective tips on how to get rid of morning sickness for expecting moms. It’s funny what selective memory can do. I can’t seem to remember much of morning sickness during my first pregnancy. Somehow you just forget, until you’re pregnant again. And if you’re like me and carrying twins, morning sickness slaps you twice in the face. But first, why do we get morning sickness? During the first trimester, typically when the placenta is developing, we feel nauseous as a result of increased hormones in our bodies. Not all women get it, and even with the same woman, not all pregnancies include morning sickness. And while most women stop experiencing morning sickness after the trimester, many unfortunately can feel it past that stage and even throughout their pregnancy. Many moms also swear by pairing a protein with a sugar. This combination helps ease the nausea that might creep up on you. Seeing a heaping pile of food can discourage you from eating, so stick to smaller portions. If you’re like me and can’t tolerate much food, stick to what you can eat when you’re nauseous. Then eat more (slowly, though) as much as possible when you have an appetite. If you can’t stomach a real meal, nibble on healthy snacks throughout the day. You’ll be more likely to keep food in your stomach when you snack in bits and pieces. Plus, the constant food keeps your blood sugar steady (and help keep nausea at bay). 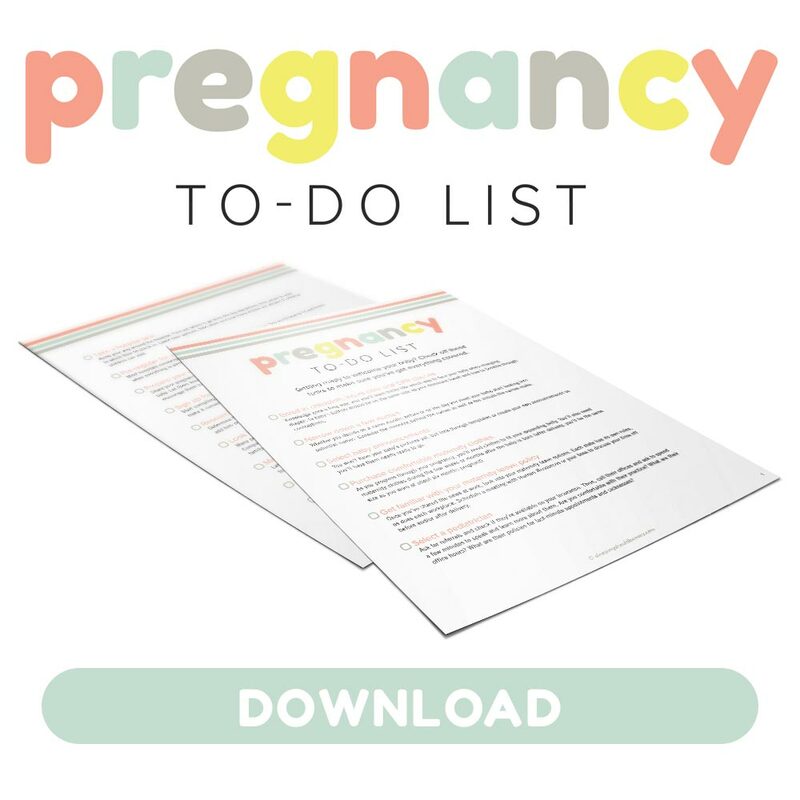 Before morning sickness, I was on top of my game, waking up early, my to-do list ready to go every morning. Nowadays, I feel so unprepared for work, my home and even keeping track of my calendar. Still, I had to remind myself I won’t be able to work as hard as I did before being pregnant. Not that I want to slack off—I’m still putting in the effort at the office and elsewhere in my life. But I did need to adjust my expectations for the sake of my health and kids. I had to give myself a break, even a temporary one, to relax and pick things up when I start feeling better. Maybe you feel guilty for sleeping in all weekend instead of doing your usual chores, or you feel terrible turning down social invitations and prefer staying home instead. Morning sickness is temporary. Adjust whatever expectations you may have had in the past to make room for this important time in your life. Here’s where I wish I didn’t work or look after a child. I come into the office, where I’m all but ready to conk my head down on the keyboard from exhaustion. Depending on where you work, try and sneak in a nap or at least a quick break. I used to be able to take a short walk, and the fresh air would help with the nausea. If the weather is cool, I’ll take a nap in the car. I’ve even driven to the nearby library during lunch so I can sit down on a couch and close my eyes for a few minutes. It’s exhausting being pregnant, so ask for help when you have a chance. My husband took over kid duty and chores. My mom would also come over whenever she can so I can rest and not exert myself. Depending on who you have nearby, ask friends and family to take care of tasks you’re not up to. Or if you have the budget, consider hiring help such as house cleaning, even if only to do a one-time deep clean. Even though it may not look it, your body is hard at work creating your baby. You need all the help you can get! Thank goodness my son is good with playing on his own (his thing right now is coloring). Encourage your child to play on his own, giving you an opportunity to lie down and close your eyes. If he’s looking for more attention, hold “conversations” from the couch. You can watch him run, throw balls, and play with his toys. Because when you’re tired, you can’t muster enough energy to play catch or chase. Read more about how to encourage independent play. I couldn’t believe I got through those horrendous few weeks intact. Sadly some women have morning sickness much longer and throughout their pregnancy. It’s difficult to imagine an end in sight when you don’t know just when that end is. Believing it’ll all come to pass seems hard to fathom when you’re in the thick of things. Still, hang in there. Know that morning sickness is normal and that you’re not alone. What are your best tips on how to get rid of morning sickness that lasts all day? How did you cope? Was your morning sickness mild, severe, or non-existent? Baby kicks are definitely my favorite part of pregnancy! It’s like a nice reminder that all this discomfort is all worth it. As far as everything else, I’ll pass lol. I knew the day I got pregnant with #2 and #3 because of the heartburn that persisted during my entire pregnancy with #1. What helped? A naturopath told me to nibble on celery. Oooh, I’ll keep that tip in mind Teresa should I come down with heartburn, especially in the third trimester. Thanks! I am almost five months into my second pregnancy and I have had some form of nausea since day one. Nothing has helped it abate…except for exercise. Even at my most exhausted I have hauled myself into some sort of exercise and it momentarily makes the nausea go away. Once I got some energy back after the 1st trimester, I was able to do it more, and even though I am more tired at the end of a long work day, I’d happily pass out after Kid 1.0 goes to bed in exchange for not dry heaving. Granted, you can’t and shouldn’t exercise all the time but short sessions a few times a week has been my savior this time around. Corie, I agree that exercise helped relieve the nausea. I don’t know if it was the fresh air or just getting the blood pumping through, but even a brisk walk helped. Unfortunately for me I can’t do that this time around with the twins, but with my first pregnancy I walked almost every day and believe it has really helped my pregnancy go complication-free and labor very well. Thanks for adding the tip! A cup of hot tea! Or even hot water with lemon (and cinnamon if you can tolerate it). Excellent tip, Kerry! I’m a big fan of tea for making anything feel better.